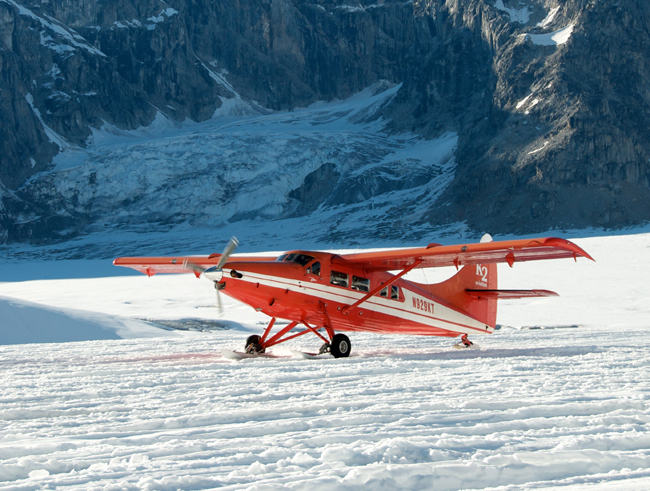 K2 Aviation is offering a new new glacier dog sledding tour in Alaska that includes flightseeing in a sea plane over mountains, braided rivers and Lake George. At 7,000 plus feet in the air, your clients will have a bird’s-eye view of Alaska’s picturesque landscape and 1,000 more reasons to thank you for booking them on K2 Aviation’s Denali flightseeing tour. The 20-year-old, family-owned business was born out of Rust’s Flying Service in Anchorage, Alaska, which was founded in 1963 by Hank Rust, a WWII pilot and sportsman with two decades of flying experience and a fondness for Alaska. Following Hank’s lead, the second generation of Rusts—Todd, Suzanne and Colin Rust—assembled a team of experienced Alaskan aviation crew, and since 1996, have provided guests with memorable flight tours of Denali National Park. Among K2 Aviation’s multitude of offerings—flight tours, glacier landings, and hikes—is the new Talkeetna Dog Sled Tour. This glacier dog sledding tour takes guests deep into the Chugach Mountains on a ski plane over rivers of ice and glacial pools for unobstructed views of nature. After soaring over snowcapped mountains, braided rivers and Lake George, guests land on a winding alpine glacier to spend an hour with a team of real Iditarod sled dogs and their veteran musher. During the hour, guests will hear stories from the trail and board a dog sled for a ride through Alaska’s wilderness. There’s even an opportunity for guests to stand on the runners of the sled and mush the team. On the return flight, guests will enjoy more breathtaking views of the Chugach range as they look for wildlife. Rates for the Talkeetna Dog Sled Tour start at $595 pp. 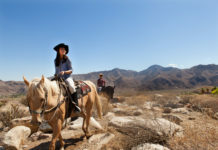 For more information, call (800) 764-2291 or visit flyk2.com.